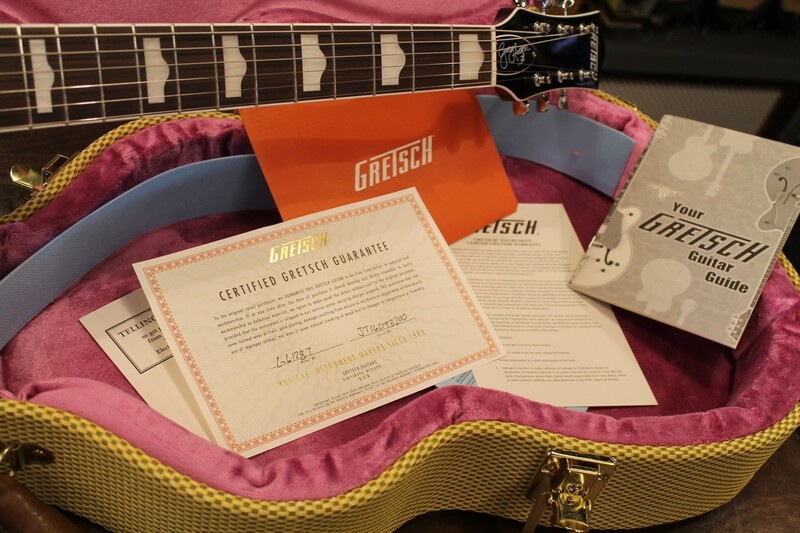 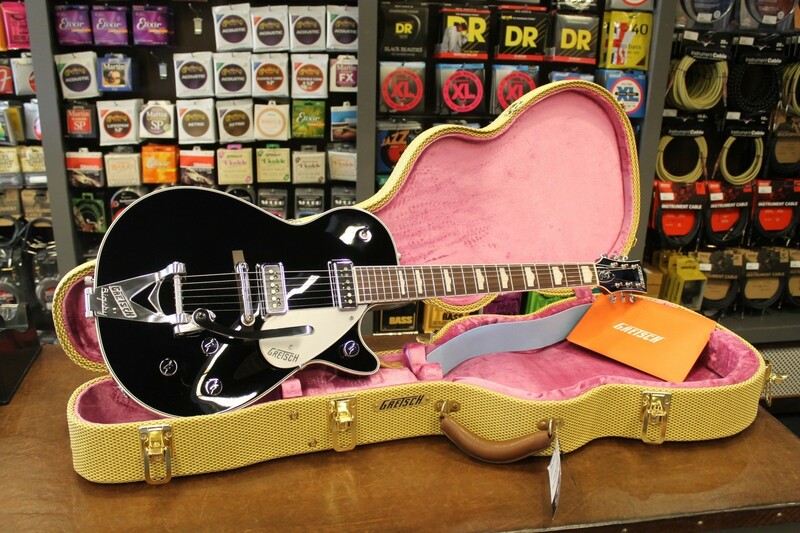 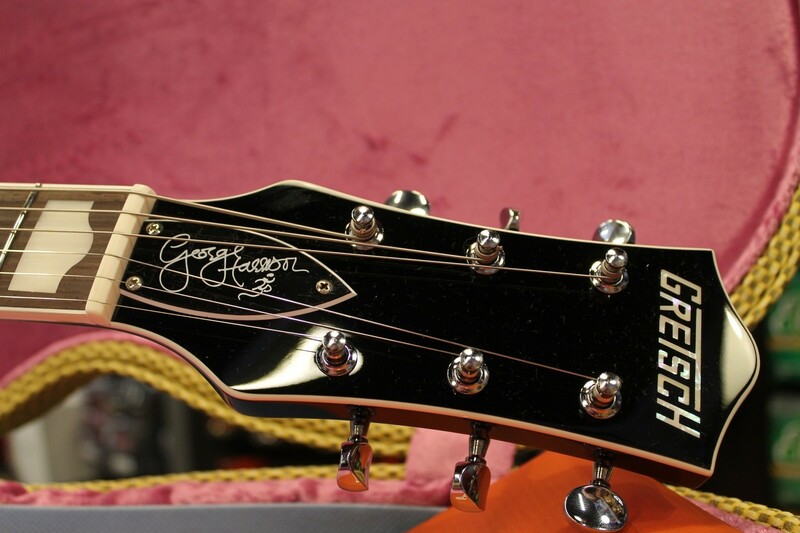 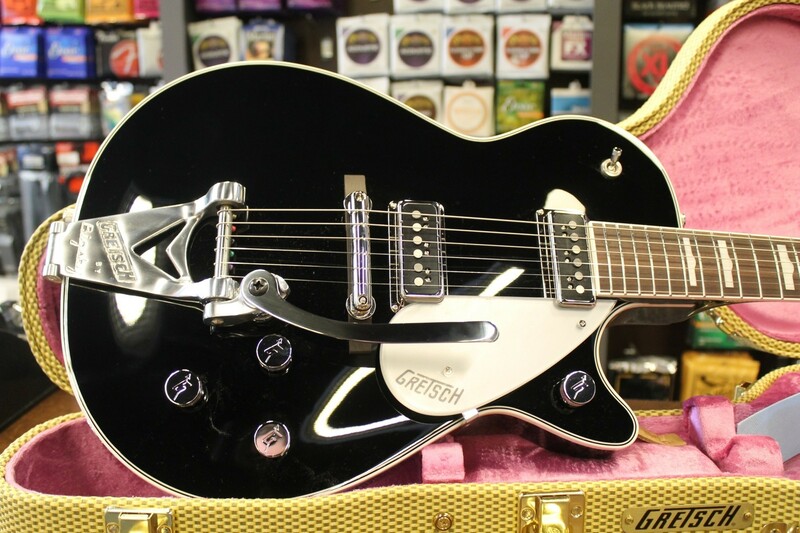 The G6128T-GH George Harrison SIGNATURE Duo Jet® guitar celebrates the legacy of George Harrison—modeled on the instrument that the legendary guitarist often referred to as his “first real decent guitar.” The GH6128T-GH offers the distinctive appointments and modifications found on Harrison’s original 1957 Gretsch® Duo Jet, which he purchased secondhand in the early 1960s. 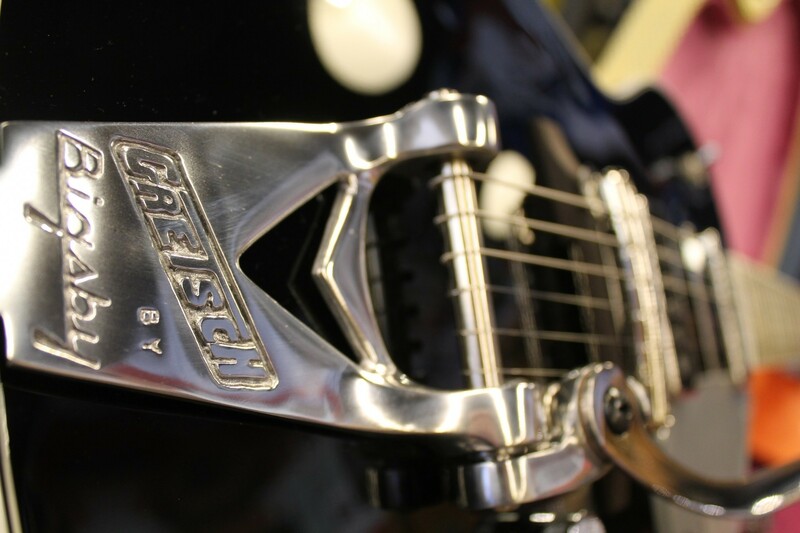 Features include a lightweight mid-’50s-style chambered body, Bigsby® B3C tailpiece with a black Phillips head tremolo arm pivot bolt, and an offset strap button on lower bout. 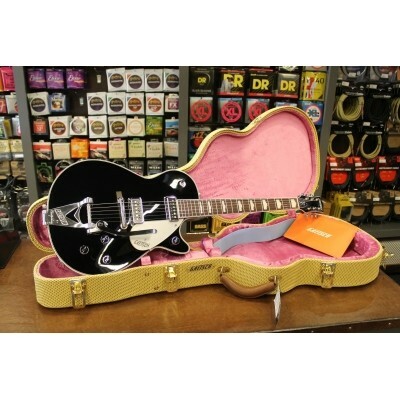 Other features include three-ply body binding (white-black-white), single-ply white neck and headstock binding, 12"-radius 22-fret rosewood fingerboard hump-block pearloid inlays, two single-coil DynaSonic™ single-coil pickups, vintage-style “rocking bar” bridge with rosewood base, silver plexi pickguard, chrome-plated Grover® V98CM Sta-Tite™ tuners, Gretsch “G-Arrow" control knobs, chrome-plated hardware, Harrison’s signature on the truss rod cover and a premium tweed hardshell case.